Looking for some Valentine’s Day flowers and gifts? You might try Awesome Blossom in Citrus Heights, owned and operated by a husband-wife team for the past three years on Greenback Lane near San Juan Avenue. 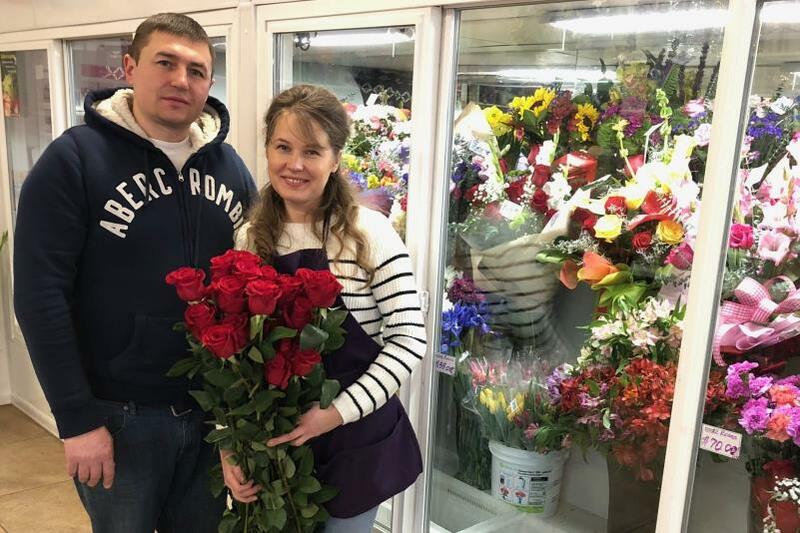 The flower shop, located at 7357 Greenback Ln., has a variety of romantic choices for Valentine’s Day flowers and gifts, and conveniently offers same-day local delivery, say co-owners Igor and Elena Lapatski. Igor is a second-generation florist, who worked in his family floral business in his native Belarus before emigrating to the United States 10 years ago. Together, he and his wife offer fresh flowers and design bouquets for all occasions including weddings and memorial services. Affiliated with Florists’ Transworld Delivery, Teleflora and 1-800-FLORALS, Awesome Blossom is one of four florists in the Citrus Heights area who expect to do a brisk business this Valentine’s Day. “We will receive a lot of walk-in orders before Valentine’s Day, but many more of our customers prefer to shop our online catalog,” he told The Sentinel in an interview. Dozens of colorful roses and blossoms were being unpacked, clipped and arranged in temperature-controlled display cases in advance of the upcoming holiday. Stems are cut to length to fit each floral bouquet. Open Monday through Friday from 9 a.m. to 7 p.m. and Saturday from 10 a.m. to 7 p.m. Awesome Blossom Flowers & Gifts offers local flower delivery in Citrus Heights and the surrounding area including, Roseville, Granite Bay, Fair Oaks, Carmichael, Antelope, North Highlands, Sacramento and Orangevale. The florist also has a large inventory of fresh flowers, tropicals, plants, and European-style dish gardens to choose from. Their personalized floral arrangements include traditional and silk styles for every occasion, including weddings and memorial services. Gourmet fruit and chocolate baskets are also popular sellers, Lapatski said. Additional information about Awesome Blossom can be found online at www.aweblossom.com.